With the information below, I hope to help you determine the type of website that will best fit your purpose. Including a quick fact about website usability and why it is crucial for you as a website owner to understand its importance. First let’s get started on establishing the type of website you need. 1. What type of website are you looking for? What type of business is this for? I.e. shop, self-representing artist/professional, start-up, small business owner, corporation, organization, non-profit organization, foundation, hospital, etc. What is the purpose of your online business presence? I.e are you planning on selling products from your website? What do you hope to gain by having an online presence? I.e is it to generate more sales, or inform about a product/service, something else? Budget? It is important to establish up front what type of financial investment you can afford to make, in today’s market we have a multitude of selections to choose from, so don’t be deterred and think you can’t have a fabulous online presence, just because your wallet is sparse. What is your business type? Self-representing Artist. Website purpose? Sell my handmade goods. Website goal? Reach out to a larger customer base to help generate more sales. Budget? Not to exceed $200 in monthly expenses. As “your” designer I would immediately recognize and know that what you need is an E-Commerce based website. The key answer above is in question #2 – Website purpose: “Sell my handmade goods.” There are many E-Commerce based website options to choose from. The most cost-effective and very easy to manage are providers such as Etsy.com and CafePress.com … but as I mentioned there are many more to choose from. To learn about the various website types, check out this article that I wrote about website types, and don’t forget to find out if you really need a brand and what branding is. What is web usability and why it is crucial for you as a website owner to understand its importance. Web usability is an approach to make web sites easy to use for an end-user, without the requirement that any specialized training be undertaken. The user should be able to intuitively relate the actions she needs to perform on the web page with other interactions she sees similar contexts, e.g., press a button to perform some action. So, why do YOU need to know what website usability is and why is it so important? After deciding which website type is the right one for your business model, the goal of your website will ALWAYS be to ensure that YOUR target audience reaches their goal, on YOUR website, seamlessly and without effort. Helping your target audience reach its goal, is accomplished by implementing user-friendly interface and experience design (UI & UX) based on proven website usability research and website usability testing when available. Do they have a product? If so, what is it? If it took you more than 10/15 seconds to find theses answers and if you answered “no” to any of the above questions, the website is failing to serve its target audience. If your website doesn’t communicate to its customers why they should buy your product, services and etc., chances are, you wont achieve your goal. This why it’s important to understand what website usability testing is and how it can help you achieve your business website goal. If you found this information to be helpful and is in the need of a website make-over or establish a brand new online presence, please feel free to contact me to discuss details. 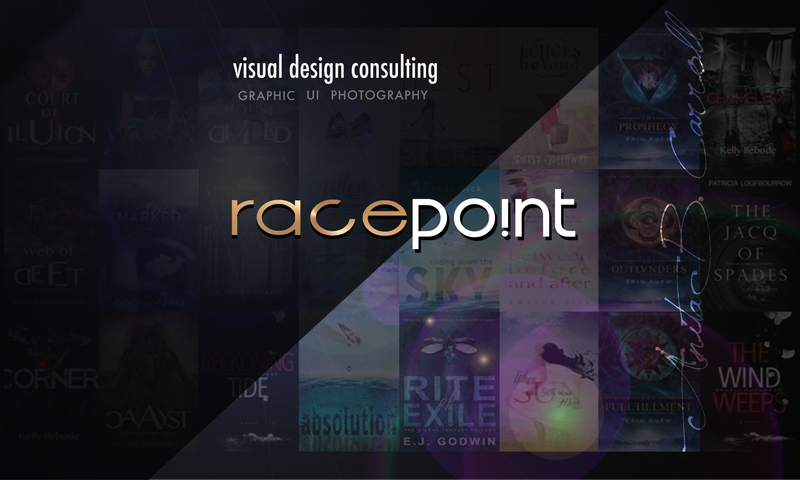 Also, if you need graphics for your website or social media sites, please don’t hesitate to contact me at anita@race-point.com to discuss your project and business needs.